Thread: have any of you used craft paper for bedding? I've tried all types of bedding for my snakes. I really like newspaper now that I have so many. Its fast easy and for the most part free. Now with most people reading the news on there computer used papers are getting hard to come by. 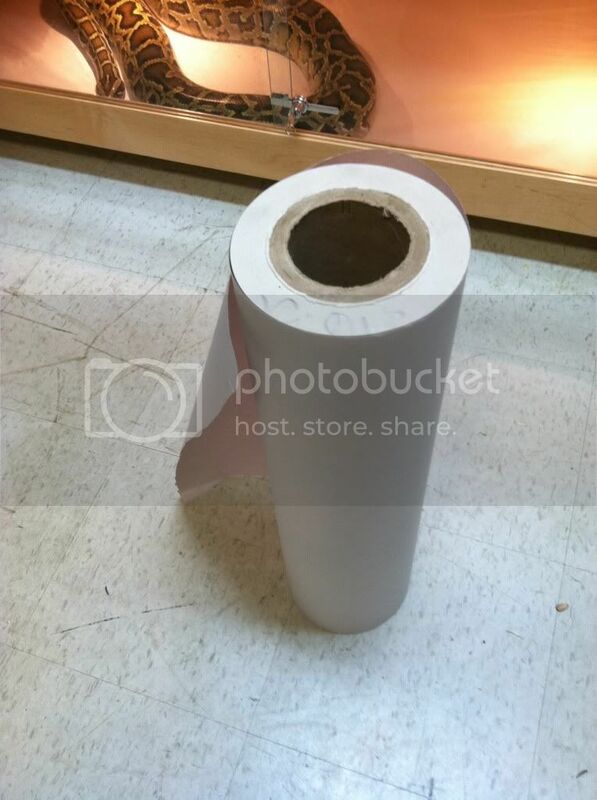 I bought a roll of 40# craft paper 36"x100' from staples for $18 shipping included. Have any of you used it before? What did you think? How many layers did you use? Let me know your opinion on it please, even if you haven't used it. We go to the new paper office and get "end rolls" Its unprinted newspaper in one huge continuous roll. One roll will be a few hundred feet and only costs us like 8 - 9 bucks. Our paper wants to charge me $10 a stack for old printed papers. Ask them about end rolls. Here's what one looks like. One this size would run us about 4-5 bucks. I'm sure it still has over 100 feet left on it. How many layers do you use? That would be fantastic if I can get'em to sell me those. I don't have much faith in our paper. I'll try but considering they want that much for expired papers. Congrats on getting some of your animals on TV. I use about 4 - 5 layers per cage. Yea Im surprised they want so much.